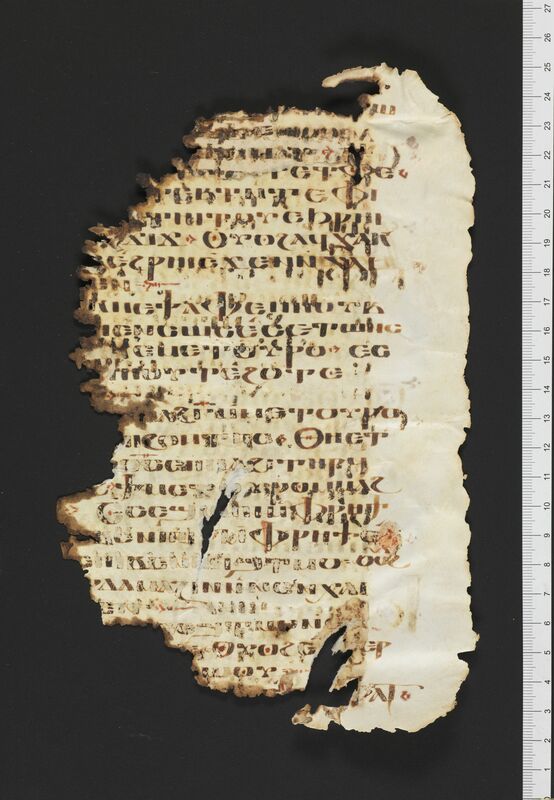 73 damaged parchment leaves of a codex containing Daniel in Coptic (Bohairic). 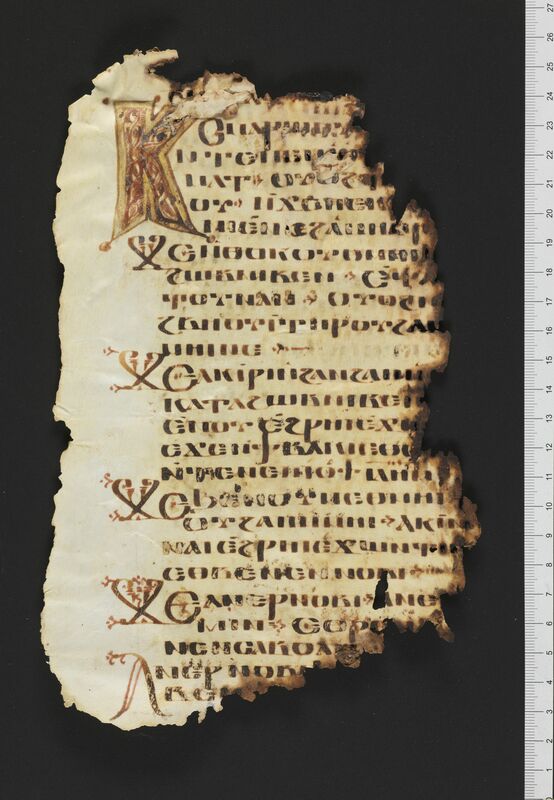 Description: P.Bodmer 44 consists of 73 damaged parchment leaves containing the book of Daniel in Bohairic. All of the pages have suffered damage to the edges, and the text has large, decorative initial letters that project into the margin. The measurements given here refer to the written area from the left margin of the regular letters (not the ornate letters in the margin) to the last visible ink on the right side. Five leaves of the same codex are in the Palau Ribes collection in Barcelona. Dimensions: The width of the page is 15.7 cm. The height of the page is 23.5 cm. The ratio of the page (width/height) is 0.668. The writing is in a single column per page. The width of the written area is about 10.5 cm. The height of the written area is about 23.0 cm. There are 27 lines per page There are 73 extant folia. Paratextual features: The visions contain elaborate titles. Some pages contain Arabic notes in the margins. Decorations: This manuscript is elaborately decorated. There are decorative boxes with titles for each vision. Page 62 contains an illustration of a bird (pulling a worm?) in the margin. Other holding institutions: Palau Ribes Collection, Barcelona (P.PalauRib. inv. 61-65). 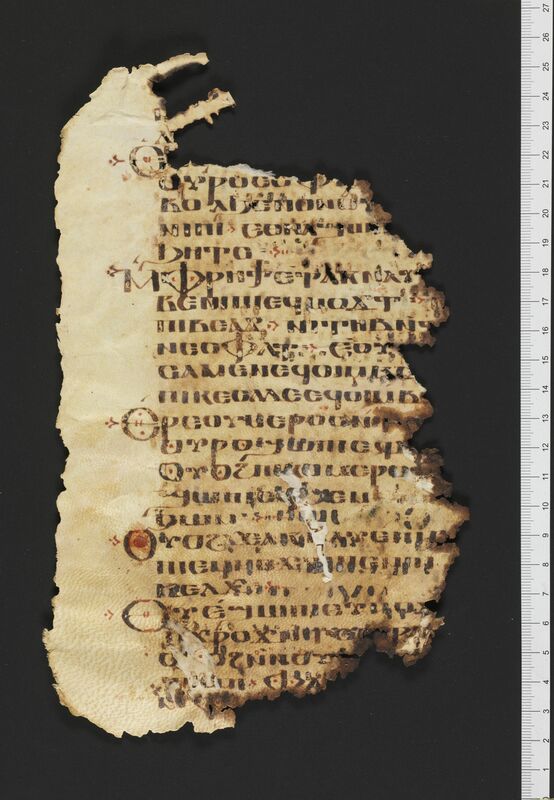 Résumé73 damaged parchment leaves of a codex containing Daniel in Coptic (Bohairic). Klakowicz, Beatrix. “A Bohairic Translation of the Last Books of Daniel (P.Palau Rib. inv. 61 - inv. 65r).” Studia papyrological 17 (1978), 7-33. Sharp, Daniel B. Edition of Bodmer leaves in progress. Kasser, Rodolphe. 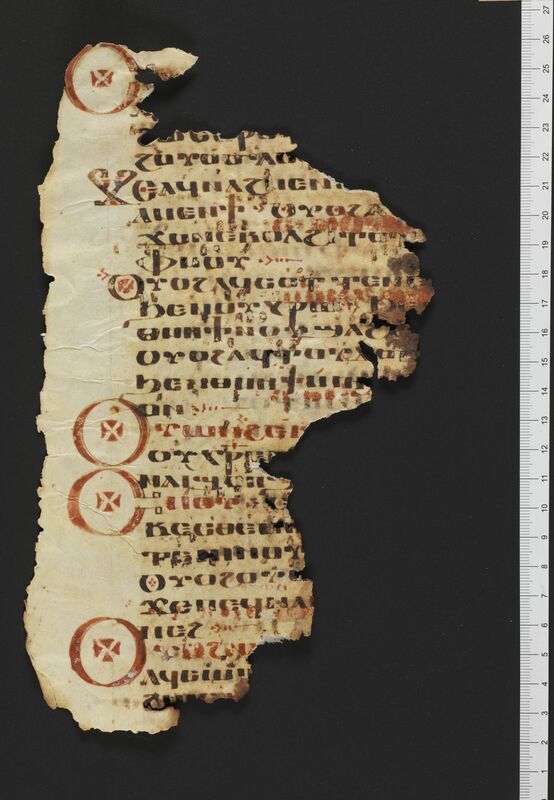 “Bodmer Papyri.” Pages 8.48-8.53 in Aziz Suryal Atiya (ed. ), The Coptic Encyclopedia, 8 vols. New York: MacMillan, 1991.